Ubud, Bali is one of those magical places that you have to experience at least once in your lifetime for the art and culture. 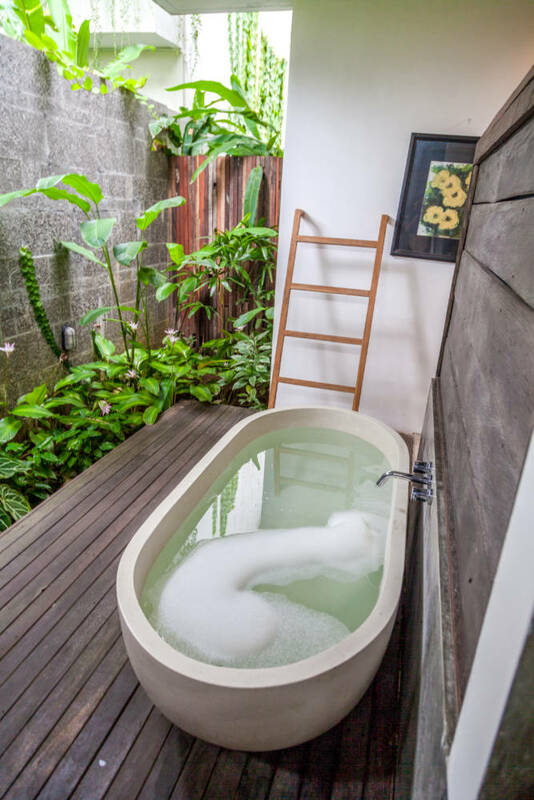 And when you do go, it’s important to stay at the right place for a more comfortable and relaxing experience because Ubud is in the middle of the jungle. 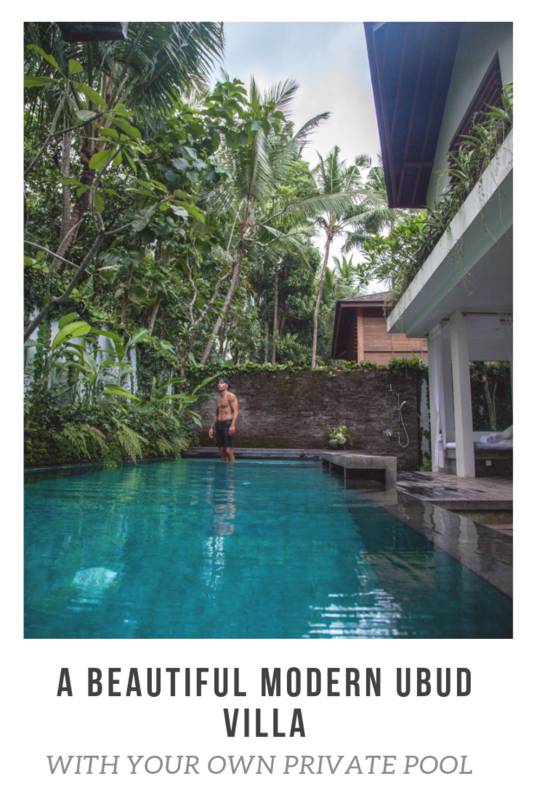 Joe and I stayed at De Ubud Villas which is a beautiful modern Ubud villa with your own private pool and it was such a dream! The architecture, design, and vibe of this boutique hotel were everything we were looking for. 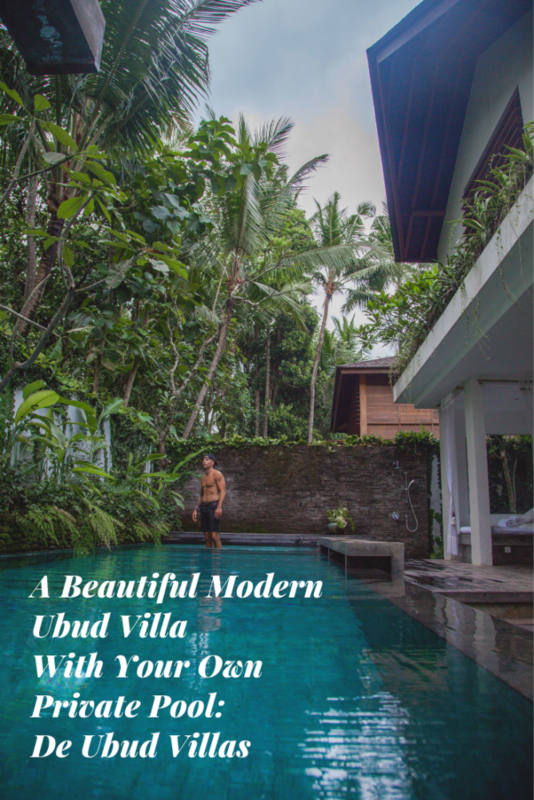 Keep scrolling for more photos and a full write up on De Ubud Villas. 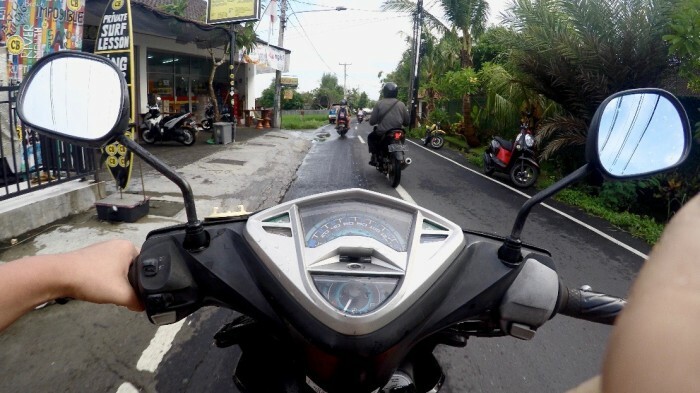 Ubud is known as the heart of Bali’s culture. Design conscious, modern, eco-friendly, location, and convenience are all things we look for when booking places to stay while traveling. 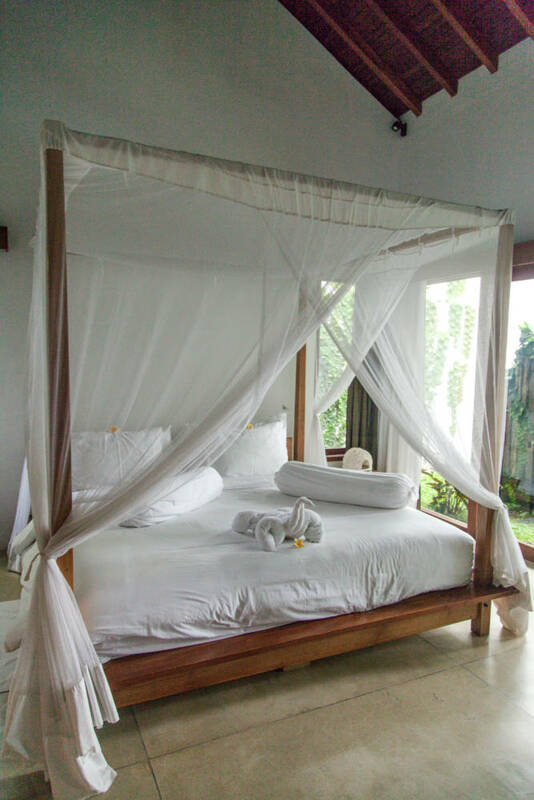 De Ubud Villas checked all those boxes for us and was even better than we expected. 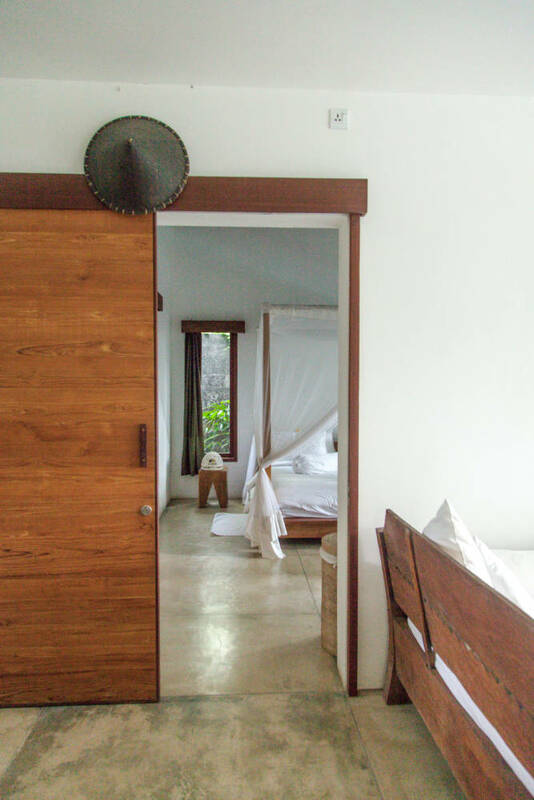 There are 7 designer villas on the property with one, two and three bedrooms available. 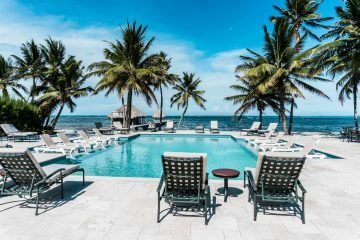 Each villa has it’s own private pool and breakfast included. 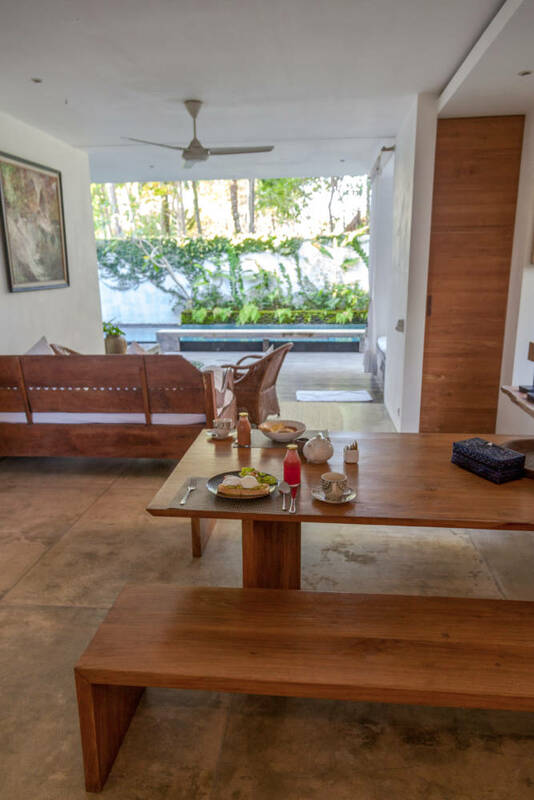 You can even have breakfast delivered to your villa every morning – YES room service! This allows you to have the luxury of a villa without giving up the luxury of room service. 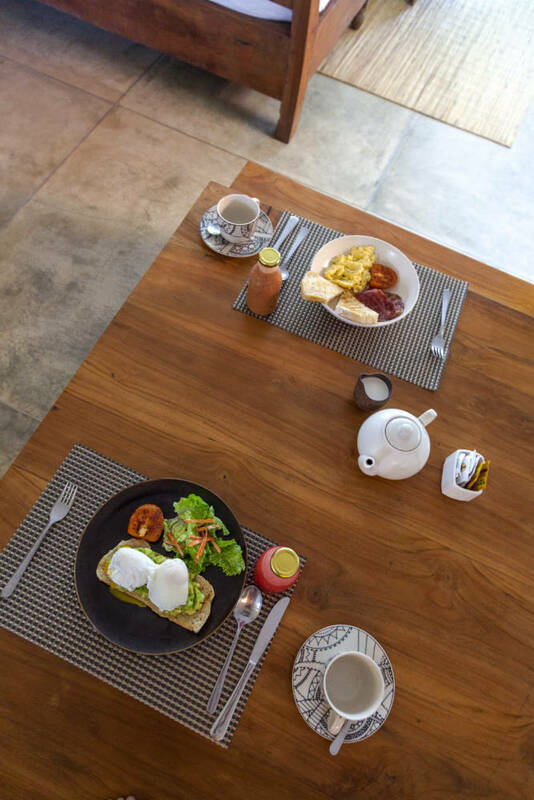 You can choose from their fresh juices, Balinese coffee, and delicious breakfast options. 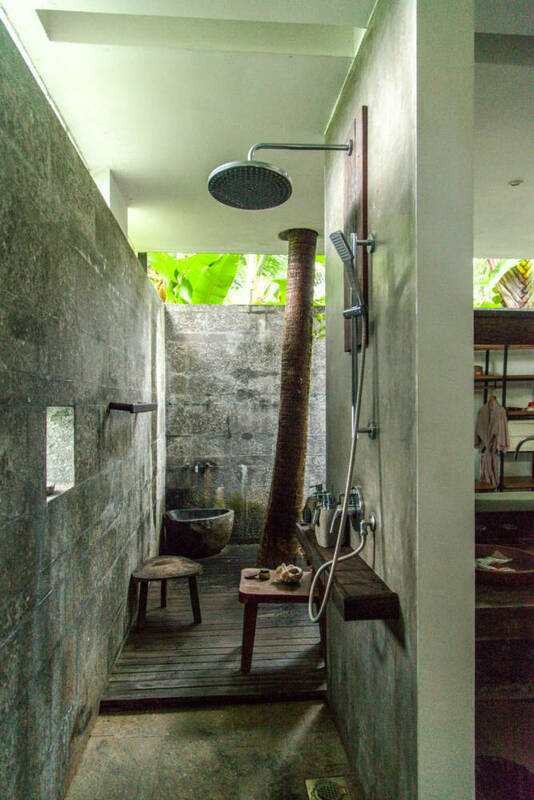 The style of the villas is indoor-outdoor so you can take a bath or shower outside while listening to the sounds of the jungle. We ate breakfast every morning in the spacious kitchen & living room area which overlooked the pool. It was the perfect place to read, relax, and rejuvenate. One of my favorite areas was the daybed. Look how chic and comfortable this little nook is! 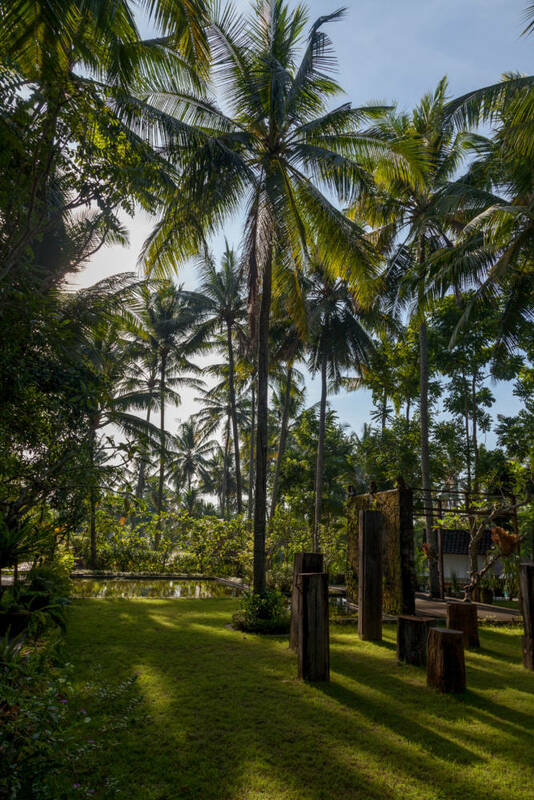 As soon as you arrive to the property, you’re surrounded by a beautiful and lush landscape. There is a quaint fish pond, soothing water fountains, and a plethora of greenery which makes you feel relaxed and rejuvenated. 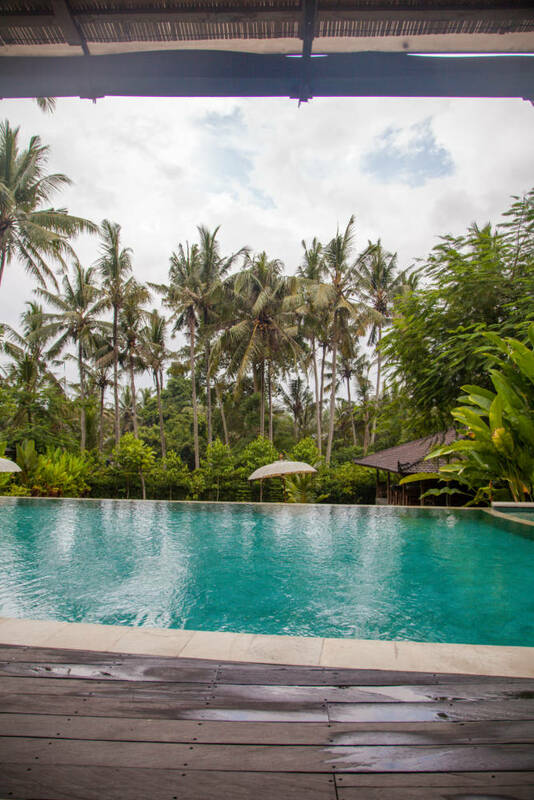 Besides having your own private pool, there is also a public pool by the restaurant which overlooks the lush jungle. 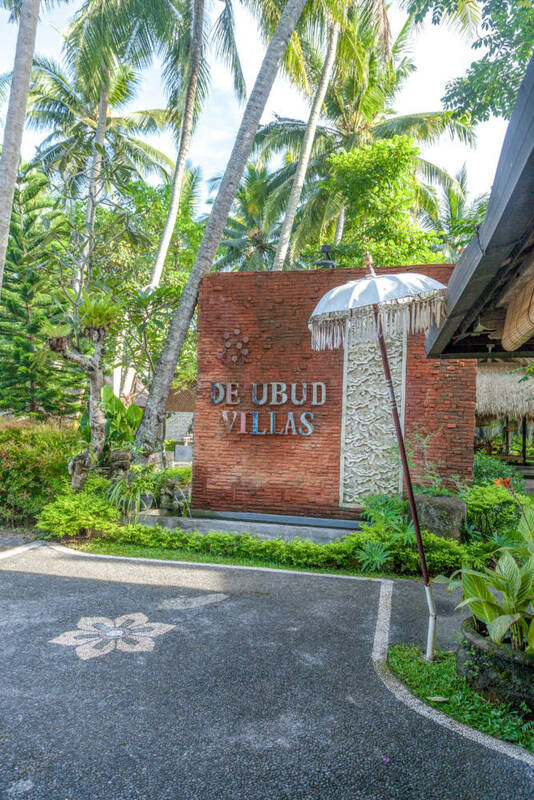 De Ubud Villas is conveniently located 10 minutes from the center of Ubud by car or scooter. The hotel provides free transportation into town so you can explore worry free. 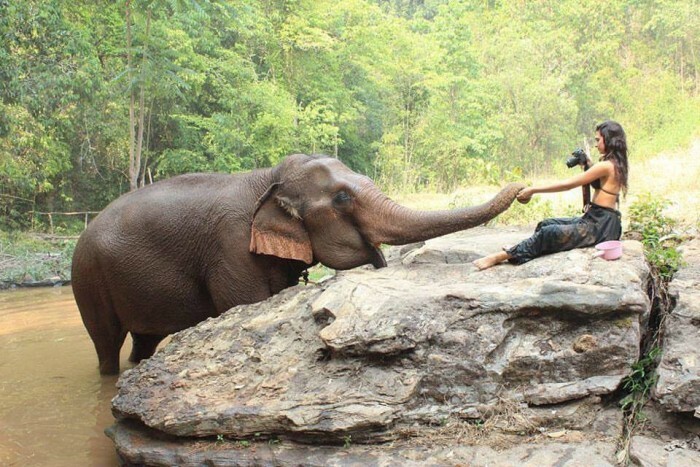 They even give you a cell phone to call them when you are done, and then they will come pick you up. You can also hire their driver to take you to the rice fields or anywhere else you’re interested in which was really convenient.